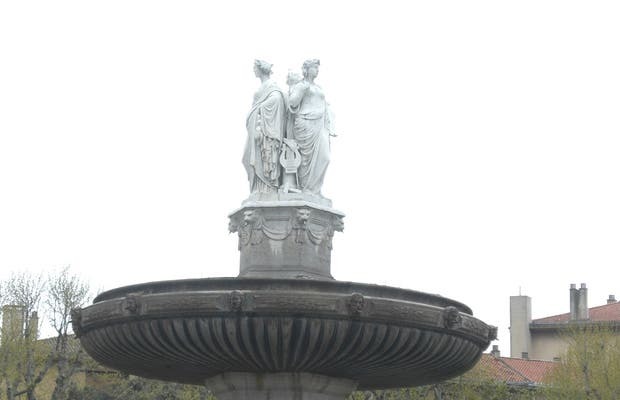 The Fontaine de la Rotonde is located at the end of the Cours Mirabeau, the most famous avenue in Aix en Provence. It forms the boundary between the historic and modern parts of the city. The fountain itself is a mixture of marble, stone and concrete measuring 12 m x 32 m. It was created by four different artists in 1860. Nowadays a recycling system is used to save water.